You’ll really need to stretch your imagination wide open for this one! Trudy is living in the marital home where she once lived with her husband, John, but now she’s living with his brother, Claude. She’s 9-months pregnant with John’s baby. But the love of money must have its way and Trudy and Claude scheme a plot to commit murder. 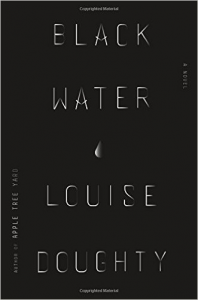 But there’s a witness to this murder plot – Trudy’s unborn baby, who narrates this whole book. Now a baby doesn’t know much about this world, right? Well, this baby has been absorbing all of the podcasts and audio books and TV news shows that his mother has been listening to and has gained great insight into the world in which he’s about to be born. He’s really amazingly educated being such a young age! However, there’s only so much this little baby can know, not being able to see what’s going on and falling asleep during vital conversations, so he’s a bit of an unreliable narrator but he does the best he can. This is a very witty, and certainly totally unique, retelling of Shakespeare’s Hamlet. I usually steer clear of retellings but I’m very glad I had a chance to read this one. Mr. McEwan has really pulled out all stops with his latest. I won this book in a Doubleday giveaway. 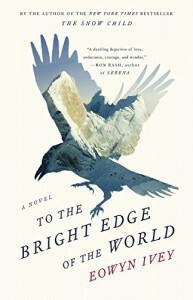 This is a beautiful book about a literary biographer named Katrin, whose beloved husband, Eric, is dying from cancer. I had to marvel at the author’s ability to so movingly depict those last months they have together. 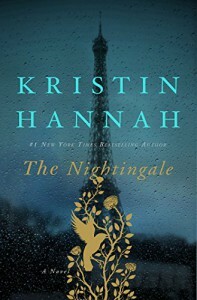 After Eric’s death, Katrin starts reading through his paperwork and old letters and decides to write his life history in the hope that it will help her through her grief. As painful as it is, she begins to reconstruct the time frame when Eric falls passionately in love with Monique when he was a young man. Katrin had been so happy with Eric but now she begins to doubt whether their life together could begin to compare with his love for Monique. Katrin’s dwelling on Eric’s past became obsessive. There were times when Katrin would want to stop reading the letters and just get on with her life and I wanted to selfishly plead with her to please keep reading since I wanted to know more. This was one of those books that I didn’t want to end and when it did end, I wanted to start from the beginning again and that doesn’t happen often. This book wrapped its words around my heart and just wouldn’t let go. Gorgeous writing that touched me in so many ways. The only negative thing about the book was that there were times when the French was not translated and I had no idea what was being said. There was one vitally important sentence in a letter from Monique to Eric that wasn’t translated which I found very frustrating. At the end of the book, there was a list of translations with the page numbers, which wasn’t very helpful when reading an e-book. Plus I wasn’t aware those translations were there until the book had ended. Since I was reading an ARC of the book, hopefully that will be rectified in the final edition. This book tackles a very controversial subject – racism. A white supremacist couple have requested that the hospital where their son was just born reassign their nurse from Ruth, who is a person of color, to a white nurse. They don’t want Ruth to touch their baby. The nurse tells Ruth she isn’t allowed to treat this baby. But then an emergency comes up and the tragic outcome lands Ruth on trial for murder. Ms. Picoult has chosen a very tricky subject and has done a great job describing the every-day indignities that people of color experience. Ruth’s lawyer is white and thinks that she is unbiased and understands the plight of black Americans . Yet as she and Ruth get closer and create a tenuous bond between them, she is shocked at how little she did understand. This will be an eye-opening book for many. There are no easy answers for this moral dilemma. Please note that this quote is from an ARC of this book and may be changed in the final edition but it struck such a chord with me that I had to include it in this review: “Equality is treating everyone the same. But equity is taking differences into account, so everyone has a chance to succeed.” The author goes on to give an example. Giving a printed test to two kids is equal but not if one of them is blind. At one point, I was going to give this book 4 stars as there were some parts of it I found quite a bit slanted. Ruth blamed so many things on her being a person of color when some of those things could just have easily happened to a white person. But as was mentioned in the book, a white person hasn’t lived the life of a person of color so they don’t have a good understanding of that life and the resentment that builds over time. Those moments of doubt that I had at the beginning of the book dissolved as the book went on. 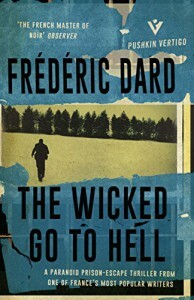 The trial is amazingly suspenseful, interesting and unpredictable. Kennedy and Ruth’s relationship was written so true and honestly. There is also a twist near the end that I never saw coming. And the ending was absolutely beautiful and made me cry. People must learn to hate, and if they can learn to hate, they can be taught to love. This book was given to me by the publisher through NetGalley in return for an honest review. Highly recommended. Who can resist a witch? This book has some of the same characters as in “The Lace Reader” though you don’t necessarily need to read the first book in order to enjoy this one. There are some mention of things that happened in the first book. Apparently, more of what has happened between the first and second books will be contained in the author’s next release “Bone Lace”. Although I did read “The Lace Reader”, I don’t remember it all that well so I didn’t quite remember what they were talking about in the mentions of previous happenings but it didn’t take away from the present book. As said, I don’t really remember much about the first book and I feel that a few months from now, I won’t remember much of this book either. I enjoyed the overall ambiance of the setting in Salem, Mass and all the background information about the Salem witch trials, although I’ve read most of that before. Also interesting was to learn about present day Salem and the effects the past has had on it. As for the two witch stories contained in this book, the first surrounded the murder of three young woman known as the “Goddesses” in 1989 and the present-day murder of a teenage boy. Rose Whelan, a respected expert on the Salem witch trials, was the prime suspect in both murders. She claimed that a banshee was to blame. I did like each of the characters in this book and I enjoyed reading the story. However, it was very drawn out and a lot of the book seemed to be just fill in. I had trouble keeping my attention on the book and it never really hooked me. But I did enjoy the basic story and I’m sure anyone who enjoyed “The Lace Reader” will welcome this newest addition. What a gorgeous collection of photographs this is! Starting right off with the cover, which isn’t a paper cover but instead the photograph is right on the hardcover book and wraps around halfway to the back. It’s a striking photograph of Huangshan or the Yellow Mountains of China. The book is filled with photographs of flamingos, bears, dolphins, whales, tribal celebrations, mountain ranges and erupting volcanos. The photos are fascinating. But just as fascinating as the photographs are the stories the photographer has written about each scene. My favorite story is the one about the lemurs. The author said that these monkeys are so friendly that he has them climb up his tripod, crawl on his shoulder and give him kisses behind the ear. The author also gives photo tips on how he was able to obtain the special effects of each photo, which I’m sure would be very helpful to those who are interested in photography itself. But for me, the pleasure of this book was getting lost in the extraordinary world that Art Wolfe has captured in his photographs. This book will be treasured by me and my family for many years to come and will be picked up again and again. Most highly recommend. This book had quite a profound effect on me. It’s the story of a married couple, Charlotte and Henry, who are living in England in the 1960’s. Charlotte is an artist, but when she begins to have children, she goes through a depressed period and has difficulty painting or dealing with life as a mother and wife. Henry, having been born in India and who has never liked English weather, decides that it would help their family to move to Australia and start a new life there. Charlotte has no desire at all to leave her beloved England behind but is so worn out that she gives in. While there was a part of me that could certainly relate to Charlotte’s struggles, my main sympathy was for Henry, who tried so hard to make life better for his family, even throughout his own difficulties. I can understand Charlotte being homesick as I know I would be, too, if I left all that was familiar. But home is where the heart is and she had her “heart” with her – her husband and little girls – and I feel that she was almost trying not to adjust to the new country. Regardless of how I felt about the decisions that Charlotte makes, I also cared for her and so very much wanted the best for them all. 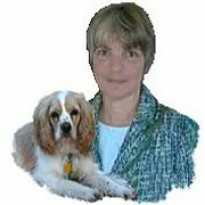 The author developed her characters magnificently and had great insight into their lives. This is such a beautifully written piece of literature. I truly loved it. Ms. Bishop has written an honest, no bars held masterpiece. She knows how to capture her readers’ attention and hearts. The ending is shocking and heartbreaking and literally took my breath away. Most highly recommended. 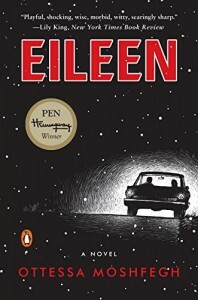 I don't think I've ever read a book with a more self-loathing character than Eileen. Oh, how she hates herself and the world! At least she does when she's 24 year old, working in a boy's detention center and living with her alcoholic father. The story is told by Eileen when she's an old woman and apparently she's happy in her old age. She's telling of a particular week in her life, a week before Christmas, when she meets Rebecca and her world is changed drastically. This is a very character driven book, which is something I usually enjoy. It's also a very dark book, which is also something I usually enjoy. But this book goes a bit too far, to the point of being preposterous. I tend to think that it's supposed to be funny in its absurdness. If so, I just didn't see the humor. It literally turned my stomach at times. I will say, though, that the author is a daring one and has created a very human character, albeit a very damaged one. I never wanted to give up on the book and wanted to see what the event is that Eileen keeps hinting about. That event doesn't come about until the last 20-30 pages. While that event was unexpected, it only left me puzzled. Many people have loved this book and it has won or has been on the list for some honorable prizes. Unfortunately, I personally cannot recommend it. Anna O’Donnell is an 11-year-old girl living in Ireland in the 1830’s. She claims not to have eaten food for the past four months and is living on manna from heaven. A local committee has hired Lib Wright, an English nurse trained by Florence Nightingale, along with a Catholic nun, to watch Anna 24 hours a day for two weeks to see if they can catch the girl sneaking food. Is this a hoax or a miracle? Or is it murder? Lib is determined to find out as she fights against superstition. This is a beautifully written book and explores the power of religion over a young person’s mind. I found it to be completely spellbinding and fascinating. The depth of the bond that grows between little Anna and her nurse is breathtaking. 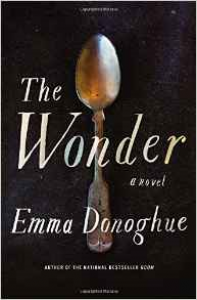 Ms. Donoghue has pitted love against evil, doubt against faith, and has come up with a powerful and heart wrenching psychological thriller that takes a scathing look into the lives and beliefs of the Irish following the potato famine. Highly recommended. This has surpassed “Room” as my favorite Donoghue book. 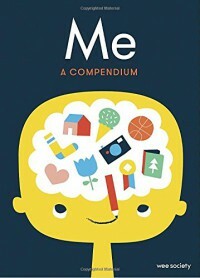 I won a copy of the book through Goodreads with the understanding that I would give an honest review in return. Vianne Mauriac is a French woman whose husband, Antoinne, has gone off to war to fight the Germans. When the Nazis occupy France, her home is requisitioned by a Nazi captain. Vianne has no choice but to stay in the house with the Nazi or risk losing her home altogether. Her teenage sister, Isabelle, makes her displeasure all too well known and places Vianne and her daughter, Sophie, in danger due to her impetuous nature. Isabelle leaves the family home and joins the Resistance. I’ve read many, many books, both fiction and non-fiction, about the Nazis and all of the many atrocities committed by them during World War II. I kept feeling that I had read this book before, mainly because the author included each and every atrocity and WWII story in this book. There were parts that just didn’t seem realistic. This is supposed to be set in a small quiet town; however, the whole war seems to be centered on this small quiet town. It must have been quite an important little town for all that happened there. Certainly the actions of the Nazis were horrendous. However, the melodramatic tone taken by the author gave a soap opera feeling to this book. I’ve heard so many readers say that the ending was so moving; however, I must say that I shook my head in disbelief as I read it. Too much of this book just didn’t ring true to me. I could give quite a lengthy list of what struck me as unrealistic but I don’t want to give plot away for those who haven’t read the book yet. That’s not to say that I didn’t like the book at all because I did. The most moving parts to me were the sections involving Rachel’s son, Ari. I applaud the courage that these sisters found deep inside themselves and their bravery. There certainly were suspenseful moments. However, the inconsistencies and unrealistic parts jarred my mood and brought me out of the story. The thought “that doesn’t make sense” occurred to me far too often. Quite possibly I’ve just read too many books of this type. However, I thought “All the Light We Cannot See” was a beautiful book and so very moving. It’s hard to give a just-okay rating to a book of this nature since we all do need to be reminded of what happened to the Jewish people in WWII and books such as this are so important. However, I don’t feel that the author did justice to such a terrible time in human history.